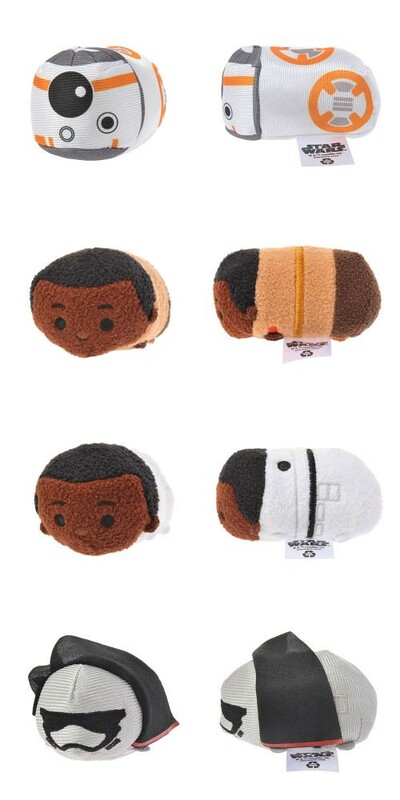 With the Blu-ray and DVD of the newest Star Wars film also comes the release of the franchise as Tsum Tsums. What’s interesting this time around is that there are two versions for a couple of the movie’s key characters. 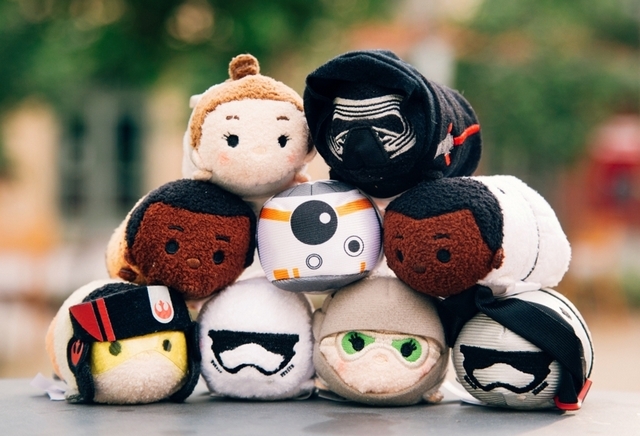 The Force Awakens Tsum Tsums will first be arriving at Japan’s Disney Stores on May (the) 4th (be with you), almost two months earlier before it hits North American Disney Stores on June 21st. 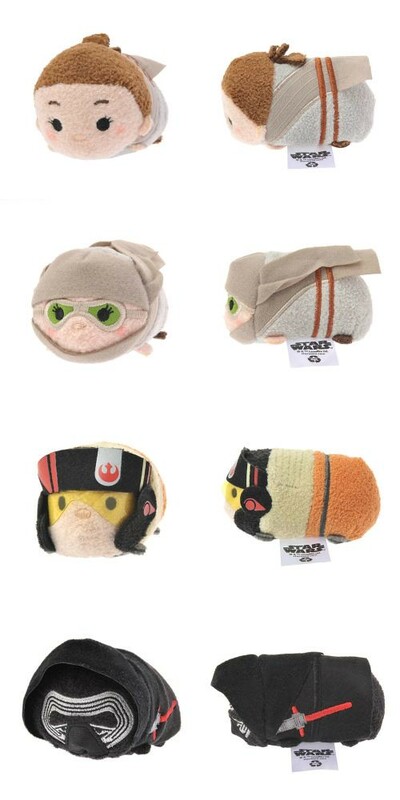 Finn and Rey are available in their more decked out versions with Finn as a Storm Trooper and Rey in her rider gear. 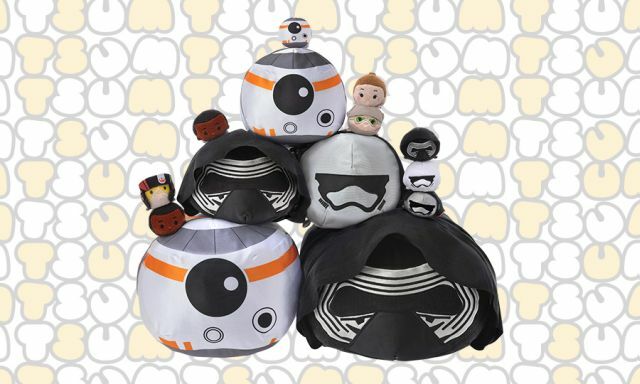 Along for the ride comes BB-8, Captain Phasma, Poe Dameron, and of course, Kylo Ren. Along with the Force Awakens Tsums, we see a new Bobba Fett coming to Japan stores as well considering he wasn’t available in handheld size in the first Star Wars release. The details of the stitchwork on the tsum tsums are always eye-catching. Worth noting are Rey’s goggles, Poe’s helmet, and Kylo Ren’s light saber. All images and merchandise credited and © Disney and Lucasfilms.